Haven Systems have continued to focus on development of additional products for core sectors including the Visitor Attraction market sector with the release of a new Trade Sales Portal. The Trade Sales Portal is a web front end designed for operators that have a requirement to promote affiliate ticket sales, allowing trade sales partners to purchase attraction tickets directly through their cashless trade account. Users log in to an attraction branded portal with a secure username and password. Once logged in, they access a cashless credit account against which they can purchase tickets for distribution to end users. The tickets are emailed to the operator who can distribute to their customers in line with any agreement or rules. As the solution operates seamlessly with Haven Systems Version 6 EPOS, when customers arrive at the venue or visitor attraction, their tickets are scanned and verified for entry. Depending on the accounting period, potentially at month end, the operator may invoice the affiliate for any tickets purchased. Number, type and value of ticket sales are transparent and detailed within the back-office reporting system. Reports may be exported and made available in a number of formats including PDF, MS Excel, CSV, Text or Image making it a simple process to share the sales data with third parties. The Trade Portal is an efficient way for operators who want to their agents to be able to purchase tickets for their customers, allowing affiliates including Information Centres, hotels wishing to package attraction visits with hotel stays and other agency partners to take full advantage of immediate ticket purchase and delivery. In many cases, a very similar but highly manual process takes place, resulting in high stock holding of branded visitor attraction tickets, and inefficient accounting practices. Trade Portal addresses this by delivering easily accessible, instant ticket availability that is fully transparent both in terms of affiliate usage and a secure way of scanning and verifying visitors at the point of entry. Once scanned, the ticket is rendered useless & no further scans are possible. Cutting paper waste and controlling spend is of growing importance to all organisations and in particular the education sector. 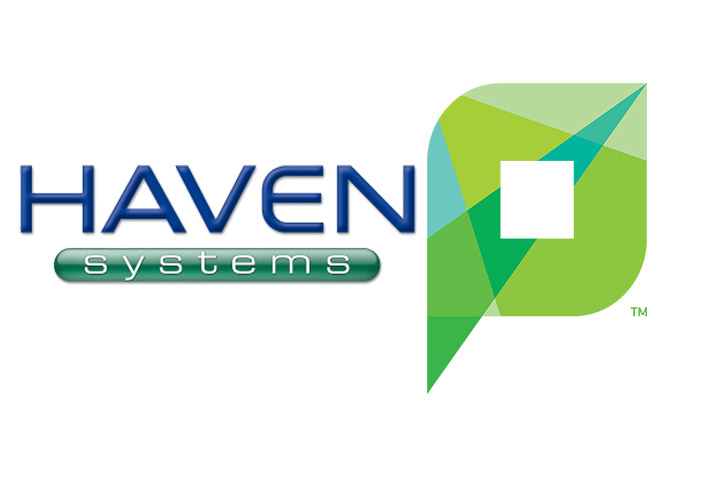 Haven Systems software development team and the integration team at Selectec have completed and deployed a solution that links PaperCut MF and PaperCut MG with Version 6 EPOS. Print management solutions are essential in today’s operating environment as users focus on reducing costs and their carbon footprint. PaperCut is used by over 50,000 organisations worldwide, its simple to install, has a modern interface and is feature rich. Haven Systems cashless EPOS seamlessly handles transactions that can include payments for both catering or restaurant sales and print requirements . The new Haven Systems and Selectec payment gateway is an on-demand gateway that will operate seamlessly with Version 6 EPOS. As a user sends a print job or starts a copy, their balance is checked and appropriate costs are deducted. The new development is a part of our ongoing focus and road map that will provide a growing number of EPOS integrated solutions for the UK education sector. The continued growth of cashless payments in the UK is ongoing. Contactless credit and debit card transactions accounted for £25.3bn of purchases in 2016, up from £7.75bn in 2015. In 2007, the first contactless credit/debit cards were issued in the UK with a £10 per transaction limit. Transport for London began accepting contactless payments on buses in 2012 and extended the service to rail and the tube in 2014. The spend limit increased from £20 to £30 in 2015. At Haven Systems Limited, we have been providing cashless payment systems since the late 1990’s. As a fully EPOS integrated ‘closed loop’ system, our solution is ideally suited to environments that have a need to operate their own ‘inhouse’ system, typically the education sector or Business & Industry sites. Within either sector, there isn’t a one size fits all cashless system though. For example, the requirements for primary school are often completely different from secondary education. Similarly, further education (FE) colleges may require functionality that allows a daily bursary that is limited to purchase a meal for students. Where as in higher education (HE) universities the benefits may be improved convenience and rewarding students for loyalty with tailored promotions. Version 6 EPOS System is Windows 10 ready and development is ongoing. The launch of our fresh, new online Cashless Payment Portal ensures that we are keeping pace with users whether they be parent, student or employee who want to ‘top up’ account balances on the move via their mobile tablet or phone. Account balances are refreshed instantly. We have a solution for Primary Schools that automates the meal selection process and eliminates cash handling at the school administration office. In secondary schools, cashless with optional biometric log on, revaluation kiosks and core software functionality that includes free school meal (FSM) entitlement meets all requirements. Colleges can take advantage of standard technology, for example, a single Mifare card may be used for cashless authentication as well as access control or print management. The same applies to universities where cashless EPOS may be expanded to multiple outlets. Specific products may be blocked, so for example students may use cashless in the student’s union but not for the purchase of alcohol. The one common factor when it comes to education EPOS systems, and a key difference to contactless credit/debit card transactions, is that activity is tracked. Parents can view each transaction, the time of the transaction and details of the purchase as well as being able to monitor the balance. More than one pupil or student may be added to a single account. Cashless reports and analytics provide management teams with great insights into spending patterns and trends. Where there is a need to measure spend and drive campus retention, the data is highly valuable in terms of creating promotions that reward students for spending on campus or with university services.